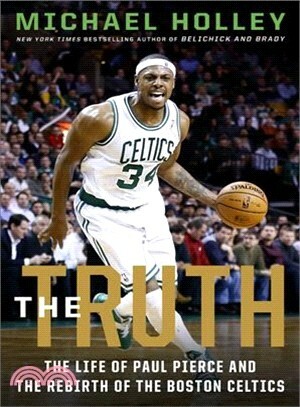 New York Times bestselling sportswriter Michael Holley tells the inside story of how NBA Champion Paul Pierce overcame setbacks such as a tumultuous upbringing, an attack at a night club in 2000 that left him stabbed eleven times, and years on a subpar team to lead the Boston Celtics to becoming the most dominant team in basketball. As Boston Celtics fans watched the team retire Paul Pierce's jersey in a ceremony on February 11, 2018, they remembered again the incredible performances Pierce put on in the city for fifteen years, helping take the Celtics from the bottom of their conference to champions and a perennial championship contender. But his time in the city wasn't always so smooth. In 2000, he was stabbed in a downtown nightclub eleven times in a seemingly random attack. Six years later, remaining the sole star on a struggling team, he asked to be traded and briefly became a lightning rod among fans. What came next -- the formation of the Celtics "Big Three" with Kevin Garnett and Ray Allen joining Paul Pierce, and the successful championship run led by Pierce -- is what cemented his standing as one of the NBA greats of his generation, a rival first to Kobe Bryant whose Laker's team championship dreams he crushed and then to LeBron James, whose championship runs he foiled multiple times. Spanning all these memorable years--as well as Pierce's college championship with the University of Kansas and childhood growing up in a rough section of Los Angeles -- The Truth will reveal untold stories behinds the legendary moments so many of us have experienced with Pierce. Michael Holley is the bestselling author of Belichick and Brady, War Room, and Patriot Reign and the bestselling collaborator for Tedy Bruschi's Never Give Up. A former columnist and daily sports talk-show host, he is currently a host of NBC Sports Boston and teacher at Boston University.